As also he will be a special guest performing at the event, we asked him a few questions. How do you see the DJ scene in Lebanon and the region, especially turntablism? The DJ scene in the Middle East, in general, is very well alive – especially in Lebanon. The nightlife scene is super vibrant and busy with veteran DJs behind every musical genre you can imagine… most call Lebanon “the Party City of the Region” for a reason. With that said, we have a massive lack of DJ battle culture in the music scene in the region. Not many DJs practice the Art of the Turntable (or Turntablism) anymore due to a combination of lack of knowledge, exposure and practice. Having DJ Battles is very crucial and important for the development of our Lebanese DJ culture as it creates a space to elevate the art, pushes the DJ to leave his comfort zone and work to elevate his skills and stand out between other DJs. What doors does the Red Bull 3Style open to the local talents? 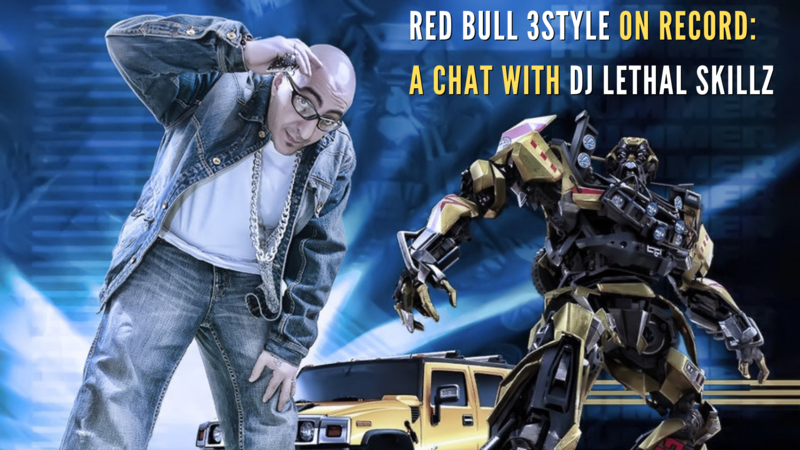 Having Red Bull 3Style coming to the region and starting in Lebanon is a major game changer as the scene has been lacking any Turntablism or DJ battle activities for more than a decade, which led to a dying Turntablism art form. All of that is about to change starting 2017 with Red Bull 3Style. How do you feel taking part of this region’s first National Final? It’s a very exciting and humbling experience to take part in such an international and historical event. From seeing our local young new breed of DJs battling it out and showing who’s the best to go to the Red Bull 3Style World Finals in Poland, to meeting up with the former Red Bull 3Style champs and performing with them on same stage, to representing my country Lebanon. I am really looking forward to take part and be there soon. What advice can you give to DJs starting out? Be patient and love what you do! Practice, practice, practice…. It’s simple, if you truly love something, you will give it your 300% and with time you will be heard and will stand out. Try to join other small DJ groups, train together, ask when you have questions, and train as much as possible. What’s one stereotype about DJs that you hate? Most think being a DJ is just about playing a set of songs, and not putting time to explore and introduce new music or maintain a discipline to practice on a regular basis in order to elevate their personal skills and knowledge. Being a DJ has a much bigger role beyond just playing the music and a deeper responsibility to the community and the art form in general. I’m always striving to keep this amazing Turntablism art form and culture alive especially in the Middle East where our youth are mostly surrounded by corrupt politics, sectarian conflicts and lack of opportunities. With that said music helps to bridge and empower communities through the International language of music and now combined with the powers of the Blockchain and its amazing opportunities that it provides artists.